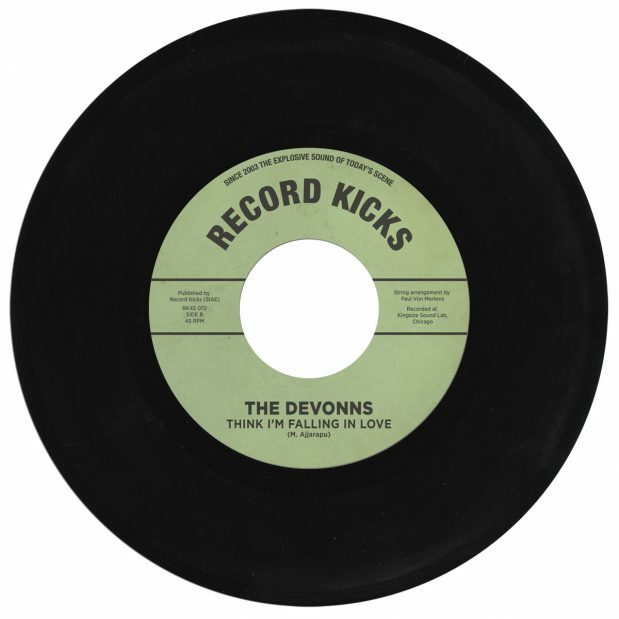 Released digitally worldwide on Friday the 14th of September Chicago soul band The Devonns unleash their second single “Think I’m Falling In Love” via The Record Kicks Label. Recorded at Kingsize Sound Labs studio in Chicago the song is a warming soulful track thats reminiscent of a golden age that yielded The Impressions and Leroy Hutson. The groove running through the track gets a boost from the sweet string and horn arrangements. The Devonns consist of singer and songwriter Mathew Ajjarapu, Khalyle Hagood (Bass), Khori Wilson (Drums) and Cam Cunningham (Guitar). At present the band are in the studio recording their début album.